Formerly Southside United Health Center, United Health Centers has been in the community of Winston-Salem, North Carolina for 13 years but needed to enhance its presence. We engaged stakeholders, staff and community members in a comprehensive brand assessment process. As a result of this work, the organization received a new name to appeal to a broader audience. We also created a new logo to offer a more modern appearance, and developed a user-friendly website along with additional marketing collateral. 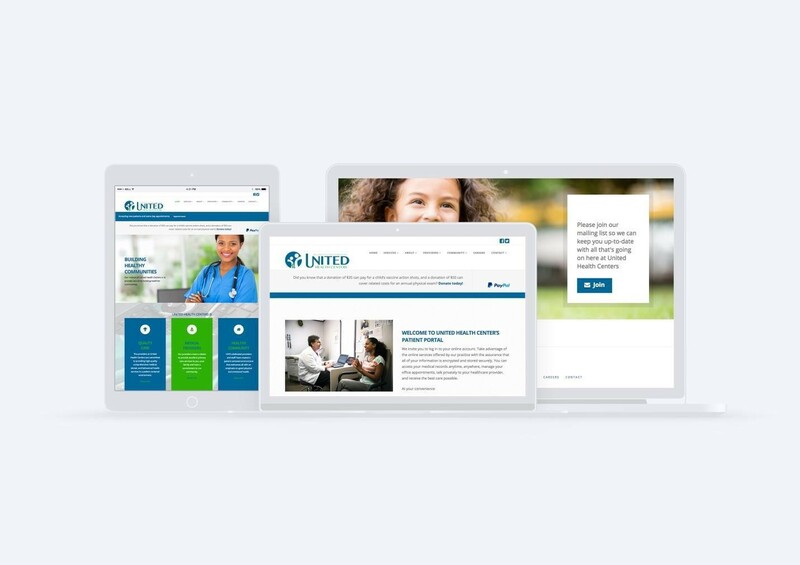 In June 2016, United Health Centers hosted a ribbon cutting ceremony for its new additional location and shared the results of the extensive re-branding initiative by unveiling the organizations enhanced identity. United Health Centers continues to grow and has recently opened an additional location in March 2017. We value organizations focused on strengthening our local communities and enriching the lives of people who live within them. At Bekoz Marketing, it is not enough to just concentrate on strategy to ensure your company’s kôz is making the impact your mission and goals were developed to achieve. Our team extends helping hands to fulfill outreach opportunities that support the accomplishments or your goals while increasing community welfare and building company morale. We are passionate about the causes we connect with and understand you give your all to accomplish your mission. Let us do what we can to help expand your outcome and have a positive impact on our communities in more than just one way. We are committed to service. If you have an outreach opportunity that will help build our communities, contact us. We would love to help!